_3430439. Image by Antonio Marín Segovia via Flickr; licensed under CC BY-NC-ND 2.0. Something different this week. I preached on this text a few weeks ago at a continuing education event in Colorado talking about living with our embodied God. 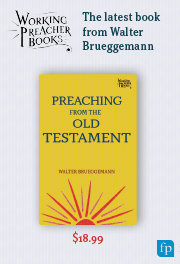 I am preaching in the Chapel of the Incarnation at Luther Seminary on Wednesday, on this text. So, I decided that this week, I would share my sermon. It has changed since a few weeks ago. It will change again before Wednesday. And each of you will preach a completely different sermon. The gift of the living Word. The temple incident. Not the right place. Not the right time. Three years ahead of schedule, to be exact. Not the right time. For sure. Because if Jesus did such a thing as this, upsetting temple order, questioning the temple’s purpose, right after the Wedding at Cana -- in real life? There would be no hesitation to punish his insurrection. There would be no waiting around for a crucifixion to happen. There would be no delay in deciding that his very presence in the temple risked the shut down of the temple altogether. And this is where we should just stop. Just stop right now. Once we start feeling ourselves moving from the surprise of “not the right time” to our feeble attempts to understand “one of these things is not like the other.” Just stop. But we don’t. Explanations ensue. Well, of course Jesus didn’t actually do this twice, there is a logical reason for this after all. Or maybe he did. Could it be that the Gospel writers might have heard different stories? And suddenly, predictably, we’ve allowed God’s revelation to be little more than our attempts to ease our own angst when it comes to the realization that Gospel is not history and grace is not fact. This is what we do. We are sooo good at this. Experts at it, in fact. No wonder people don’t want to come to church. Instead of experiencing an experience of God we explain it. And in doing so, we explain away the effect, the impact. We explain away God’s presence as a glitch in testimony. We explain away a God who insists on knowing us and being known by second-guessing some assumed accuracy of the four evangelists. And in doing so, we explain away the I AM. An I AM God. Explain away our God who shows up in Sychar. Explaining away our God whose body is our bread. Explain away our God who knows our grief. Our God whose heart aches when separation is on the horizon. Our God who hears our cries for safety and protection of our children. But I get it. After all, who would believe us when we say that the true I AM shows up in our lives. Lest we ever forget that the Word became flesh, Jesus’ body, is the temple and then there will be a body on a cross and a body missing from a tomb. Because a woman at a well, whose body was rejected for the barren body it was, experiences the truth of neither on this mountain nor in Jerusalem. Because a man ill for 38 years, his entire life to be exact, whose body has only known life on the ground, is now able to imagine his ascended life. Because a man born blind, is then able to see, and to see himself as a sheep of Jesus’ own fold. Because Lazarus, whose body was dead and starting to decay, found himself reclining on Jesus, eating and drinking, and with his sisters, sharing a meal once again. Because bodies in our midst continue to be shunned for the gender they should not be. Because bodies in our midst continue to be dismissed for the color they should not be. Because bodies in our midst continue to be overlooked for that which does not conform to what bodies should look like and be able to do. Because bodies in our midst continue to be assaulted and abused, battering justified by twisted and terrifying biblical interpretation meant only to oppress and suppress. Because bodies in our midst continue to be massacred, because other bodies are deemed rights and privileges foreign to the reign of God. The temple incident is just the right time. Just the right place. Because without it Lent is metaphorical at best and disembodied at worst. Just the right time, because without it, our ministry is metaphorical at best and disembodied at worst. Just the right time because what we decide to do with Jesus’ body matters for our life together and for our ministry. How we do community, how we do ministry has an impact on actual bodies.How we act with each other is felt in bodies. Our decisions, how we preach, how we teach, how we talk to and about one another -- all experienced by bodies. I fear we forget about such truths. Carry on with protocols, our perceived purposes, our lofty visions, as individuals, as a seminary, as a church, as a nation, as if what we do will not land on flesh and blood. Carry on with supposed discernment and determined decisions as if real bodies will not suffer the consequences. Carry on with budgets and meetings and plans as if the incarnation were only a doctrine decided for the past. Carry on as if what we do is not experienced in God’s body. Oh yes. Just the right time, because without it, we might never know, never believe that Jesus’ body, the Word made flesh, is now ours to embody. That is the Lenten Gospel truth.